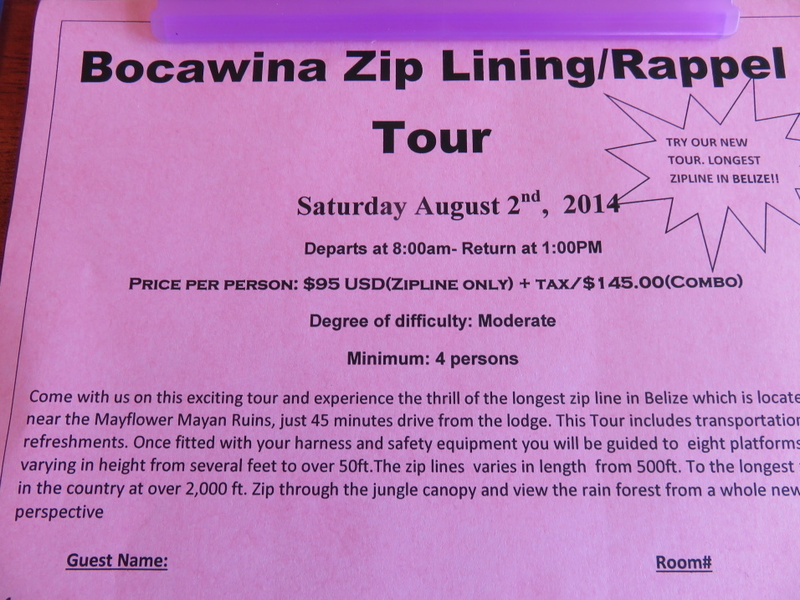 The list of activities available through Almond Beach Resort in Hopkins, Belize was almost…well…overwhelming. They got the ocean right there – and snorkeling, diving, fishing and more. 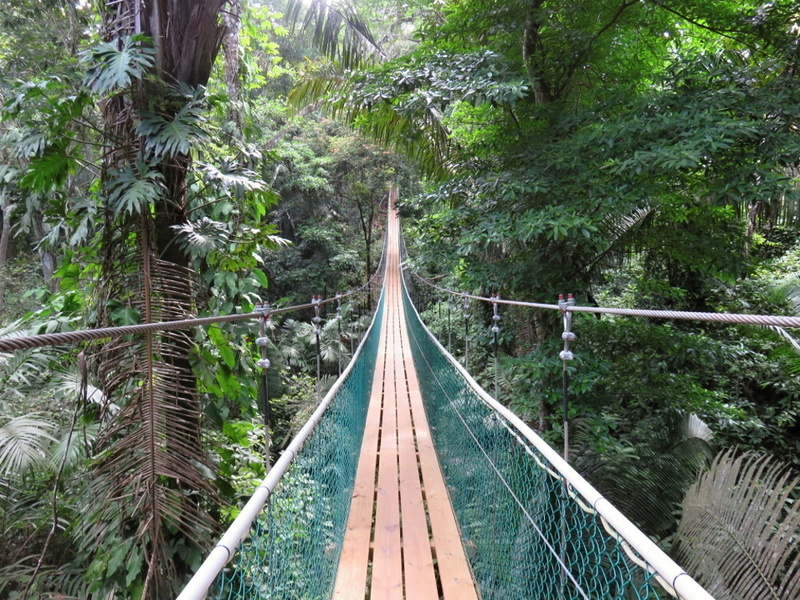 They are sandwiches between two rivers and all of those activities – monkeys, manatees, birding and more. 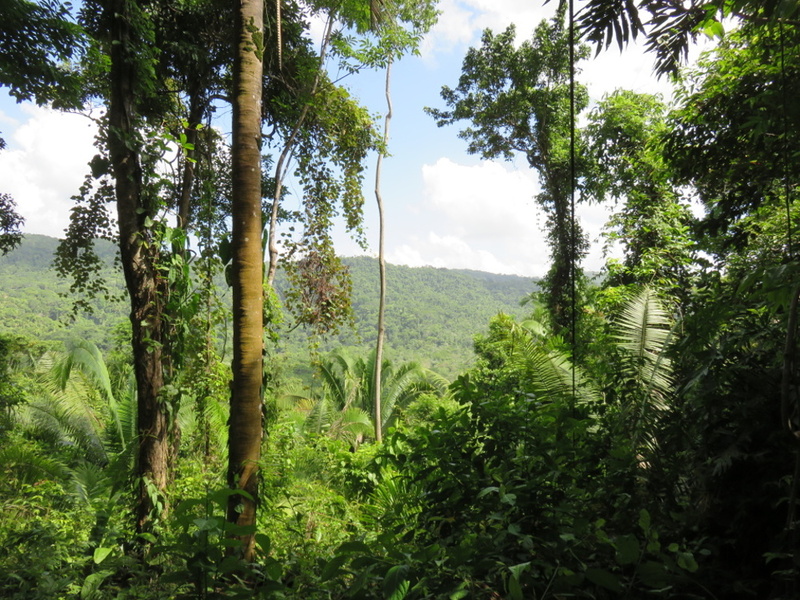 And then the mountains and the jungle just 25 minutes away. The cayes in the south are beyond lovely, this I know. But this was my chance to do something a little bit outside of my comfort zone. 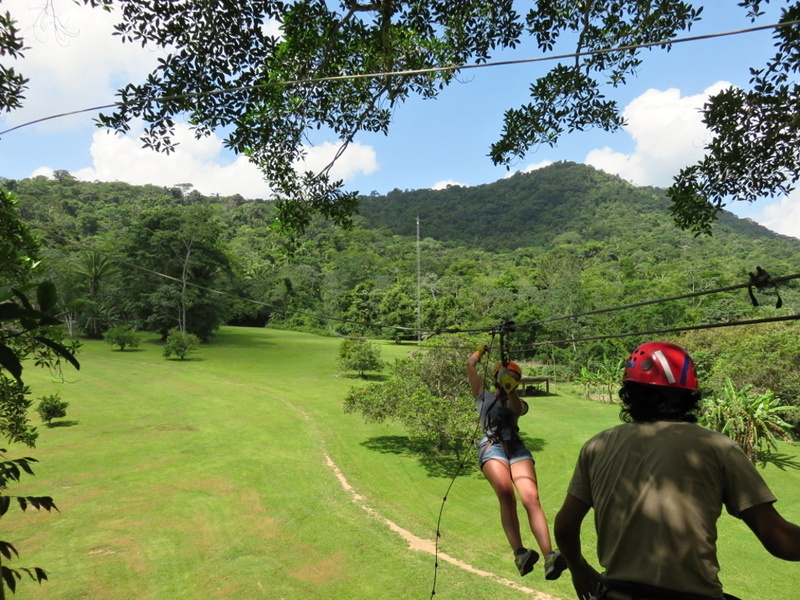 So…the night before, I signed up at the activities desk for the longest zip line in Central America and maybe some waterfall rappelling. The dock is covered with clip boards and sign up sheets. Angel, who worked for years at Ramon’s Village in San Pedro, is the very helpful activity coordinator. 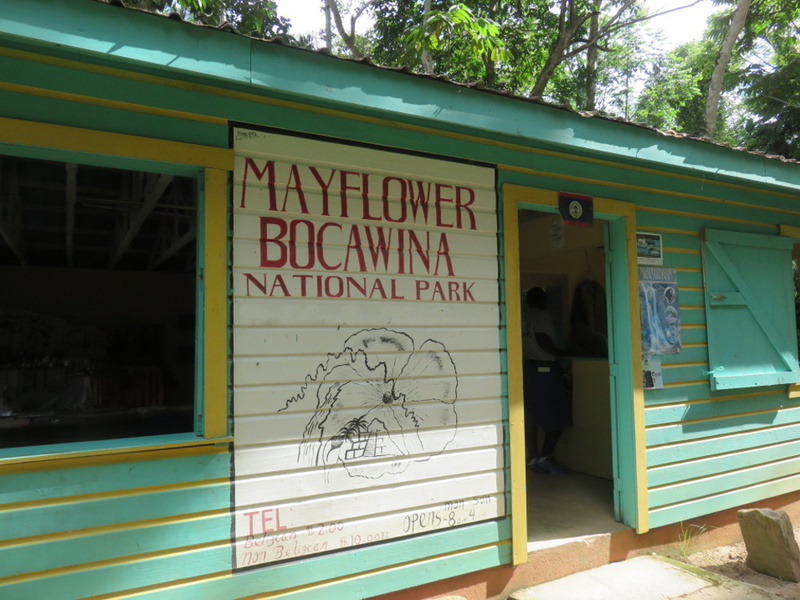 All at Mayflower Bocawina National Park. 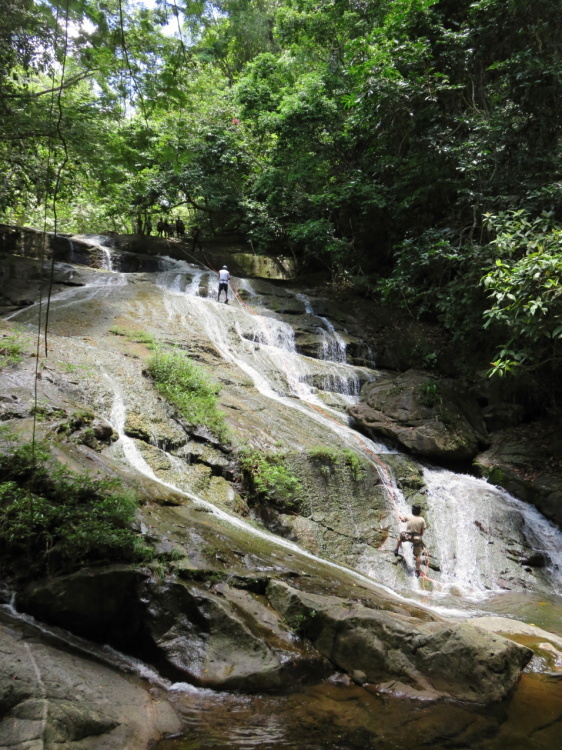 11 square miles of jungle, mountains, waterfalls and so much more. This place really is spectacular. Three of us put on our bug spray, wore our sturdiest shoes and loaded into the resort’s van at 8:45am. 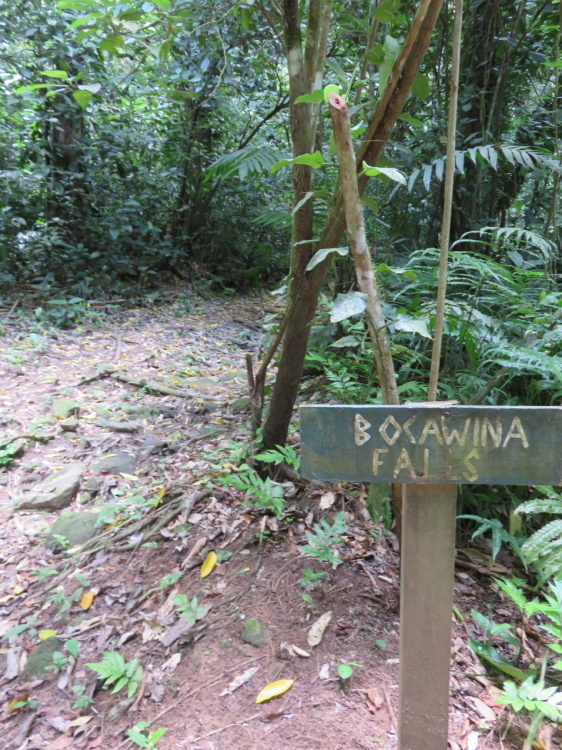 We drove on the road out of Hopkins, thru the marshland and entered Bocawina. 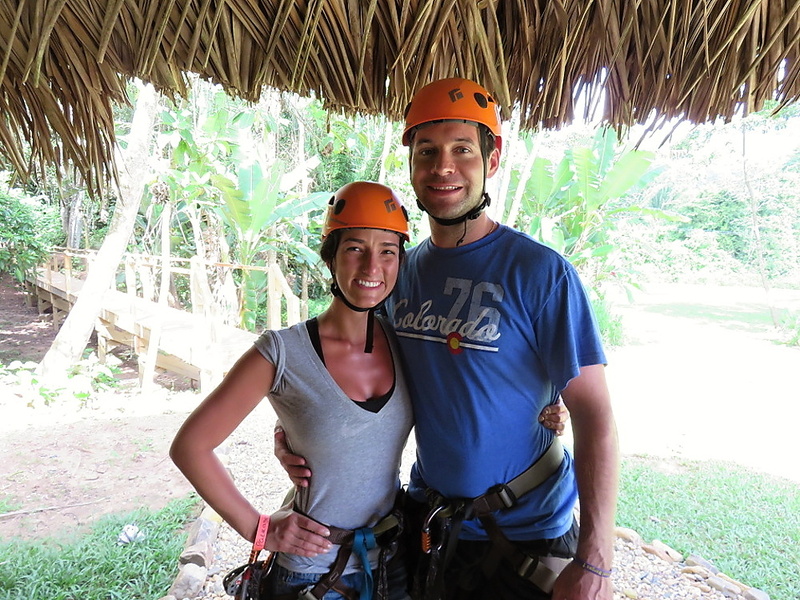 We immediately suited up for zipping. I would run into these two again a few days later at the inland Blue Hole. But that’s for another post. We set out for the platforms. Across this amazing new bridge. SO Indiana Jones. While crossing we spotted Belize’s national bird, the keel-billed toucan (WOW) and a huge lineated woodpecker. Everything at this park seems new or at least very well maintained…the equipment and even this bouncy bridge didn’t make me one bit nervous. AND it seemed like we were the only ones out there. Love it. 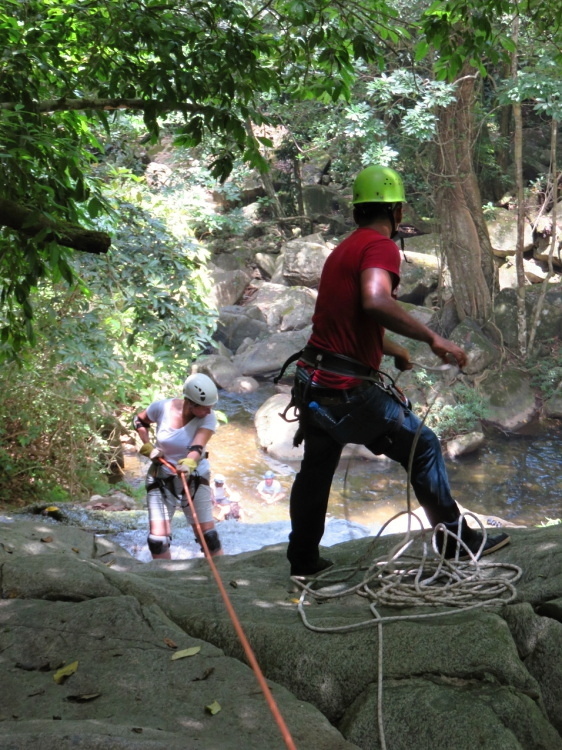 Our guides gave us a briefing on safety, safety, safety, how to brake and how much weight the cables could hold. Totally doable. Even for a chicken like me. 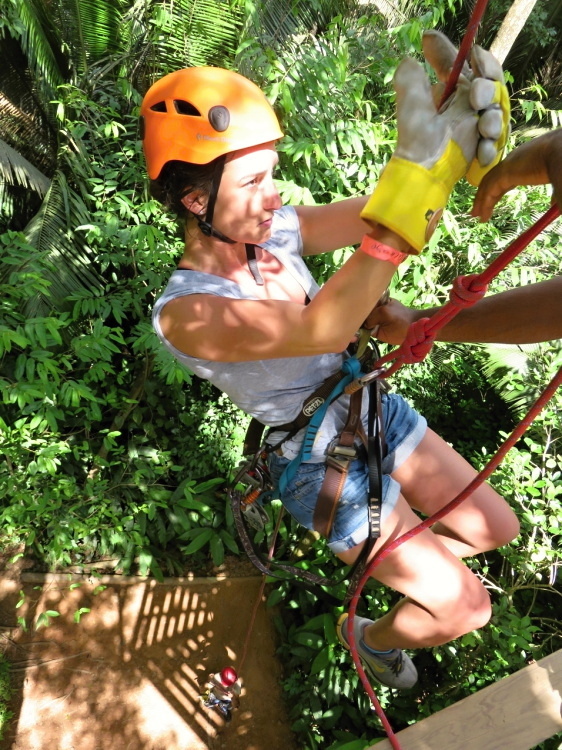 And then we started zipping. I like how the first one is always a “bunny slope”. An easier, shorter one to get the feel of it all. It’s exhilarating and the scenery is just spectacular. 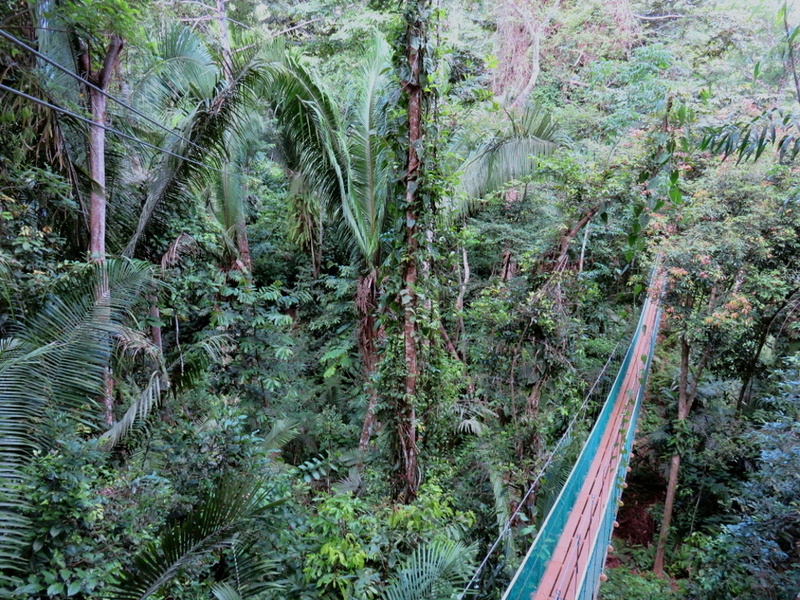 This step off was the highest for sure…but you actually feel pretty safe sitting in your harness. It’s not like you just jump. Because THAT I would never do. 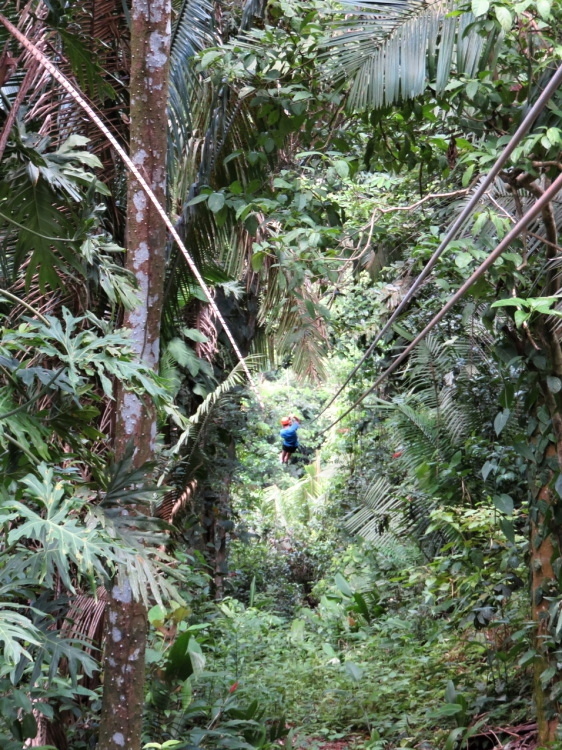 So very cool zipping right through a small hole in the canopy. We even dropped right off this platform to make it to the next. I don’t mean to pat myself on the back but I was feeling pretty brave. 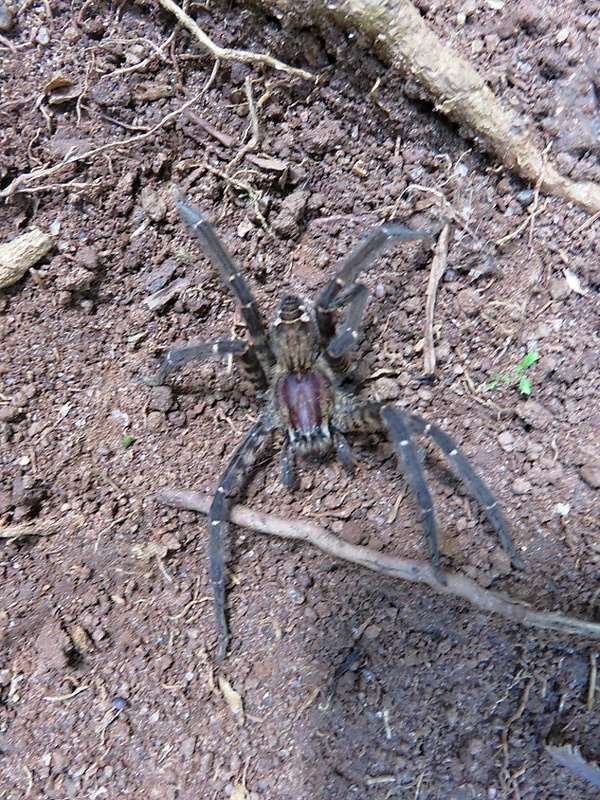 Our guide Oscar pointed out this wolf spider on the ground. Big as my hand. Cool. 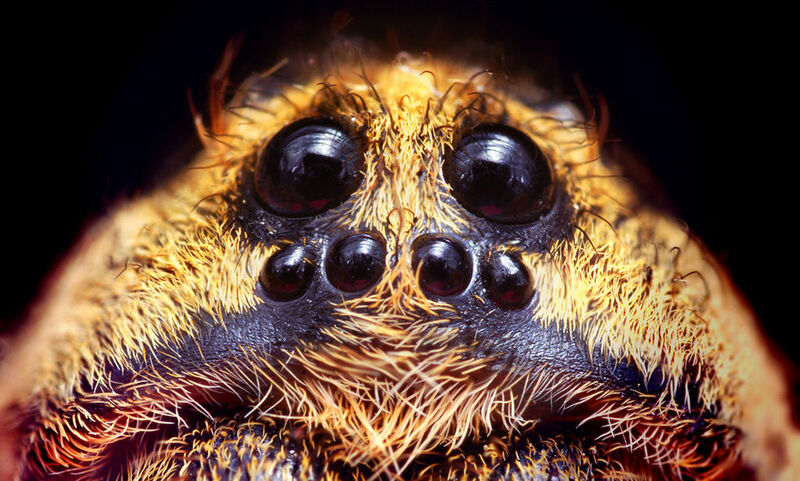 Glad I was not close enough to see its eyes. Found this picture on Wikipedia. YIKES. And then the next to last line. You start in jungle and then emerge into the manicured finishing area. 2300 feet! You really pick up some serious speed. SO FUN. 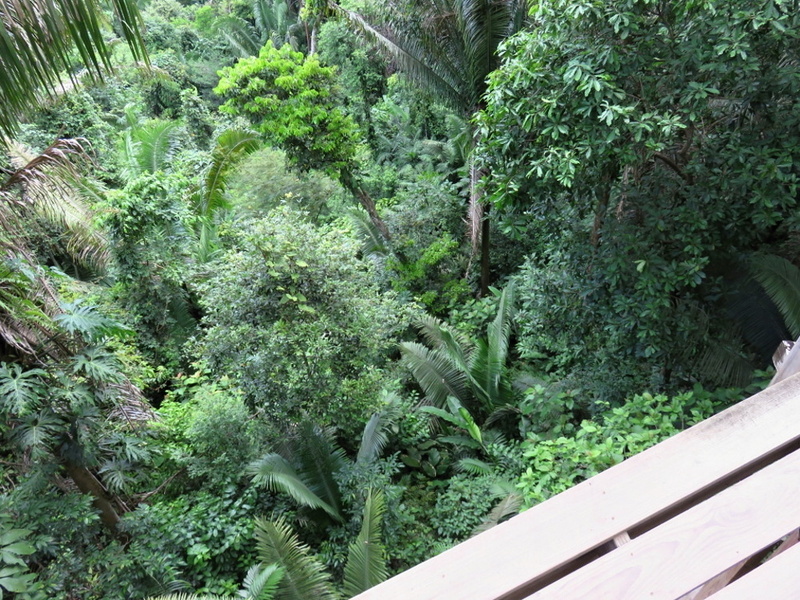 We walked down the stairs from the final platform to solid ground. 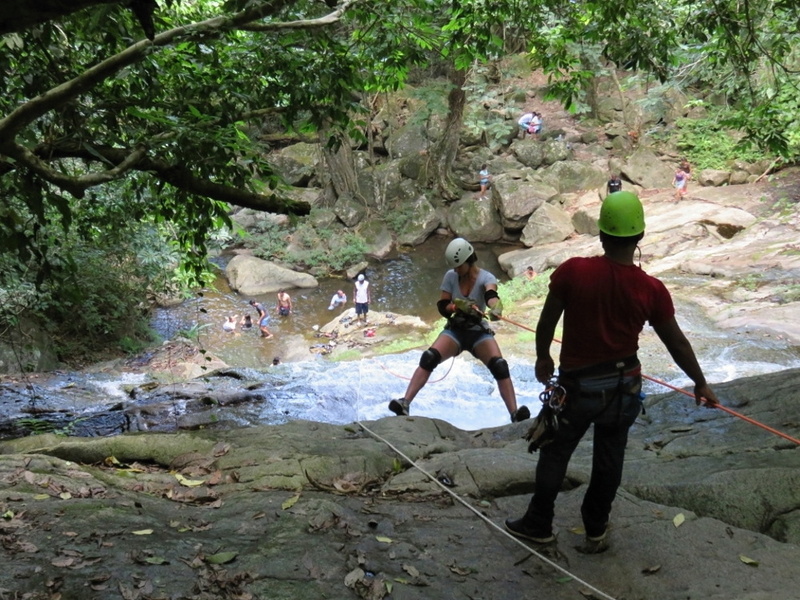 I wanted to go again but it was either time for me to go back to the resort or MAN UP and go rappelling with the rest of the group. I decided to hike up there and see what it was all about. 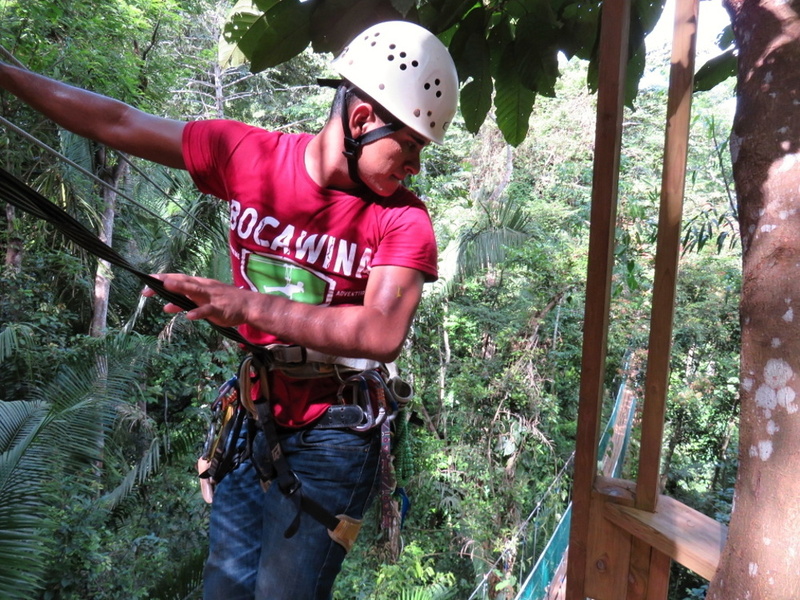 We took a short ride to the trail beginning and again, strapped on our harnesses. (Well…you stand there with your arms out while the guides do everything for you.) Helmets. Check. And this time elbow and knee pads. We looked like we were going to the roller derby. You have two choices. 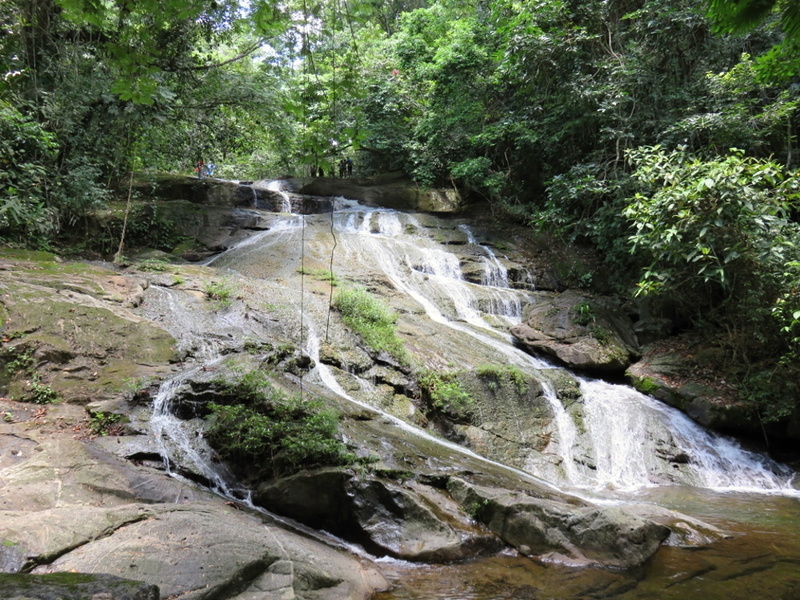 The smaller falls at 150ft or the larger ones at 300ft. We were in agreement. Small. I decided to wait at the bottom while the rest of the crew hiked to the top. Can’t hurt to watch a few people go down before I make my final decision. A guide at the top, a guide at the bottom but when I saw Gilbert stumble a bit at the steeper part, I made up my mind. NO GO. Yes it seemed safe but…I’m too scared. Plus, I’m just here to blog about it, right? Brittany looking like a pro. Maybe they do this a lot in Louisiana? What do you think? Can you do it? Here’s what I think. This park is GORGEOUS. Stunningly beautiful and it feels very private. Not crowded with cruise ship visitors. 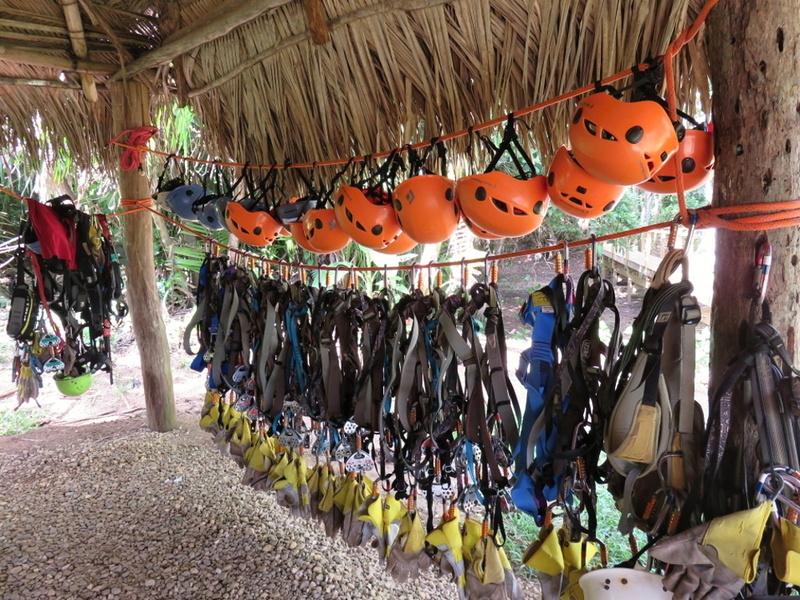 The equipment and the guides are top notch and the longest zipline at 2300 feet is so super exciting. I loved it. I’m glad I went to watch everyone do it. And was very glad to dip my toes in the icy water at the end of a hot morning. And one of the coolest things? 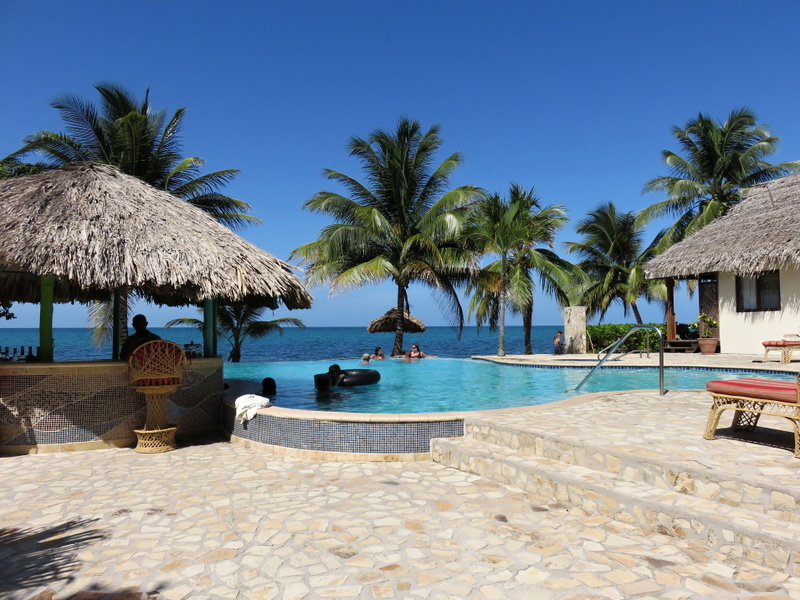 I was back at Almond Beach Resort in Hopkins, on the beach by 2pm. Get your heart pumping in the morning and then relax in the sun with a pina colada in the afternoon. 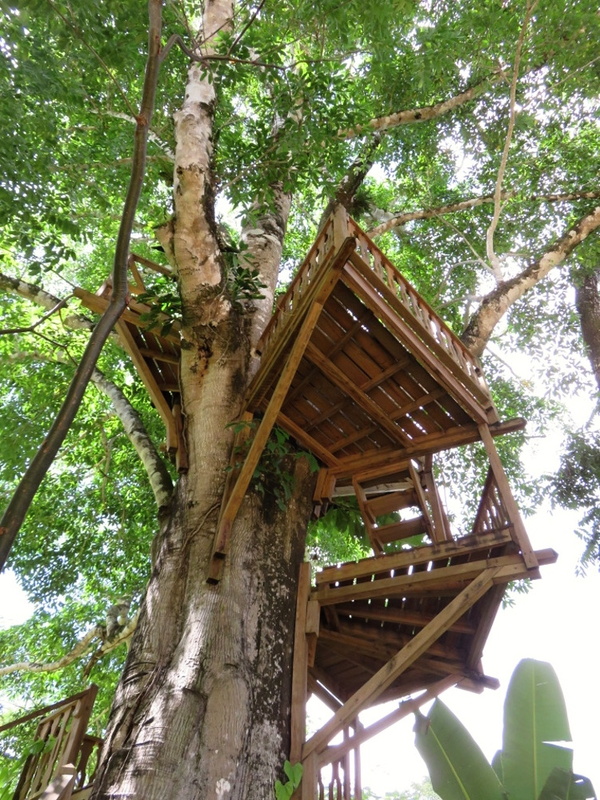 The quintessential Belize vacation. 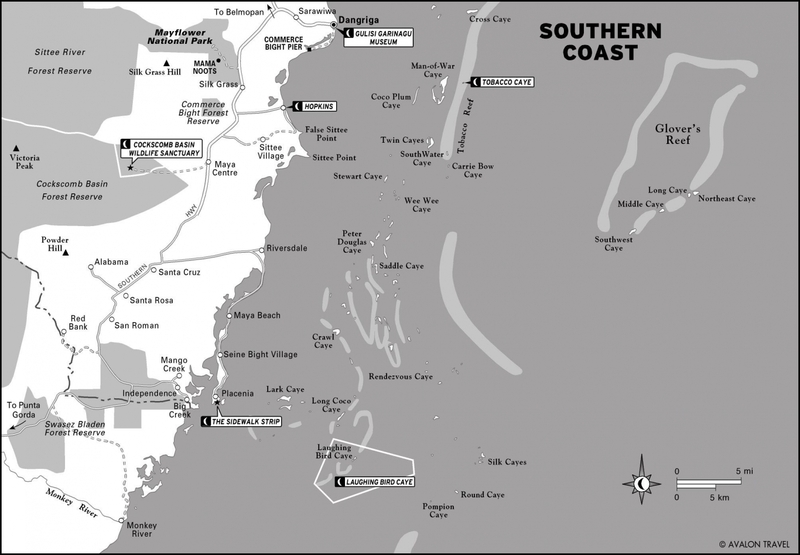 And for a sense of the area and the distances, check out this map from the Moon Guide. It shows Hopkins and Mayflower Park (near the top) and then Placencia below.